The Einstellung Effect is a cognitive trap that prevents us from seeing better or simpler solutions to problems we’re trying to solve. Here’s how to recognize it and reduce its effect. Gravity problems make conflict resolution more difficult because they sidetrack us from actionable problems. Most people don’t want to be wrangled into doing something you want but they don’t. Here are three ways to turn them into your problem-solving partners and dissolve resistance. We like to think of ourselves as rational beings, and yet we act irrationally in all sorts of ways. The overconfidence effect is a natural bias toward believing that we’re better at something than we actually are. It’s hard to get fresh perspective about our situation or the other person when we’re trapped inside a conflict. When we become too wedded to our own solutions, conflict resolution conversations can get pretty stuck. When you’re tempted to dismiss someone’s concerns as trivial, or roll your eyes at the things people find to fight over, it’s time to sit up straight and pay attention. When we feel overwhelmed by a difficult conversation, we can get emotionally swamped and lose access to our good conflict resolution, communication, and problem-solving skills. Some debates, arguments, and bickering go on and on, without leading anywhere (except to more frustration). When we’ve put in effort to solve a problem, we want our solution, decision, or agreement to have every chance at long-run success. Working memory is like a mental sticky note, cognitive workspace for holding and processing information relevant to whatever we’re doing or about to do. If you believe someone is aggressive, could they behave more aggressively with you than with others? When we notice resistance, a typical response is to try persuading them out of their resistance. Conflict resolution skills alone will only get you so far. When someone is upset, one familiar response is to ignore it and forge ahead. Another is to try to make them feel better with kind reassurance. When someone is emotionally swamped by anger, it can be helpful to redirect them temporarily away from their feelings and engage their cognitive capacities. It’s hard to listen deeply from inside an argument. The next time someone declines to take responsibility for words or actions that had a bad impact, don’t immediately assume it’s a flaw in their character. Not all disagreements require long talks to resolve them sufficiently. There’s a difference between being justified in your response and the response being a good choice. Want to break the advice-giving habit but aren’t sure what to do instead? Conflict takes root in the space between our narrative about what happened and theirs. Conflict can rob you of two precious mental faculties useful for sorting things out. Conflict in personal, professional, and business relationships leaves permanent cracks and breaks behind. What if, instead of trying to ignore or hide the damage, we revered it, understanding that “better than new” is more valuable than “good as new”? Chronic or unresolved conflict can trigger us to react based on what has happened in the past even when the present circumstances don’t warrant that reaction. When friction enters a working relationship, sometimes the best path through isn’t to talk it out. Sometimes the best path through is an indirect one — ask for a favor. Here’s how the Ben Franklin Effect works. Feeling dissed? Here’s how to raise concerns about disrespect in a way that increases dialogue and decreases pushback. During conflict, focusing mostly on anger’s behavior instead of on anger’s real message is like burying the lede in a news story. You don’t get better at listening during conflict by practicing during conflict. You get better at listening during conflict by practicing outside of conflict, where the stakes are lower and it’s easier to be on top of your game. “That’s not my problem” are four of the most frustrating words to hear when you’re trying to talk through a conflict. Bickering, an argument about trivial matters, is one of those everyday bad habits that feeds the growth of destructive conflict in a relationship. Here are five simple and potent ways to gain psychological distance (and help others do the same) when you’re spinning your wheels in a conflict conversation. Being confrontational will usually do you more harm then help. Here’s a mediator’s tip for how to confront someone and raise an issue for discussion without being aggressive or argumentative. One of my summer 2016 projects is sorting past articles by conflict resolution skill. I’ve just completed the next on the list: Dealing with difficult behaviors. For decades, non-verbal communication has been lauded as an important part of establishing connection and understanding with others. Now a new study suggests non-verbals aren’t as key as we think. How to deal with difficult people? It’s one of the most frequent questions I’m asked. What does it mean to hold the space for someone who’s trying to get somewhere different in a conflict? Whakawhanaungatanga is a Maori process for establishing relationships. In the following interview I explore the tradition, identity, trust-building, and conflict resolution with New Zealanders Hilary Unwin and Pereri Hathaway. New research has identified six elements to an apology, and the more of those elements you include, the more effective your apology. Two are particularly crucial to having your apology accepted. How do you reduce resistance? What are the best ways to handle difficult people? The stress of conflict has ramifications we’re only just beginning to understand: We can apparently “catch” someone else’s stress physiologically. Conflict and suffering are confederates working in painful alliance, each feeding the other as if to ensure its own continued existence. If I turn away from the suffering in conflict, I deny a part of my clients’ experience. It’s tempting to feel triumphant when we successfully back our nemesis into a figurative corner. But it’s ill-advised triumph. Memory doesn’t exist to help us perfectly recall things in our lives. It’s there to help us survive. And to do its job properly, memory must evolve. What’s the best way to re-establish communication with someone after a falling out? Here’s how to write an email that will help you reconnect after no contact and set the stage for talking in person or by phone. It feels natural to take notes while mediating or coaching, and coaching and mediation notes serve a purpose. While jotting down something really important is useful, taking notes throughout the session is often a mistake. Whether we’re participants in a conflict conversation or mediating it, creating space for a question to be contemplated before answering is a powerful gift. When we fill the space out of our own discomfort with the silence, we inadvertently smother the possibility of a deeper answer. ’m frequently asked about my favorite tips for staying calm in an argument. While there’s no magic remedy that will work in all the moments that test us, there are practices I’ve returned to again and again in my work and that are well-supported by credible research. Now I’ve put them together in a free downloadable ebook for you to use in your own life and, if you’re a mediator or coach, with your own clients. I’ve heard the following five common beliefs about conflict repeatedly during my two decades as a mediator, coach, and conflict resolution teacher. All five miss the mark in important ways and we should stop repeating them. The Einstellung effect is a type of cognitive trap that prevents us from seeing better solutions to problems we want to solve and conflicts we want to resolve. Here's how it traps us and ways to mitigate its effects. In moments of conflict, seeing someone whole is both a noble and a difficult thing. It is a worthwhile pursuit whether we’re part of the conflict or we’re helping them sort it out — because that’s where possibility lives. When responding to someone else’s difficult behavior during conflict, a good rule of thumb is, “Use the lowest level of intervention first.” Here’s why this rule of thumb is useful for managing difficult behavior and a concrete example to illustrate. If you want to boost creative problem solving or get a fresh perspective, then get up from your conference room table and climb out of those comfy living room chairs. Walking is better. Philosopher Simone Weil wrote, "Those who are unhappy have no need for anything in this world but people capable of giving them their attention. The capacity to give one's attention to a sufferer is a very rare and difficult thing; it is almost a miracle; it is a miracle. If you want to control your emotions better during difficult conversations, do something counter-intuitive: Give up trying not to feel them. Instead, put a label on them. Recognizing and naming an emotion can have a powerful effect on quelling it. Psych professor Matthew Lieberman, author of Social: Why Our Brains Are Wired to Connect, calls it “affect labeling.” You can use affect labeling to help yourself and others. When a person is very angry, the part of their brain associated with being reasonable and articulating reasonable thoughts more or less shuts down. Closed for business. Sign on the door — go away, can’t do this right now. Handling blame, defensiveness, and high reactivity during conflict can challenge both the informal mediators and professional conflict resolvers among us. I’ve found that the “primal lens” for considering possible roots of these behaviors to be really helpful and want to share it with you. Somewhere in the Pacific Ocean, a single whale calls out again and again and again. Whale 52, as he’s known, has never been seen by humans. But he has been heard. For years. His call has been recorded and it’s in a frequency that matches no other whale species. What if, instead of viewing conflict as something that leaves permanent cracks and breaks in our relationships, we viewed those fault lines as testament to what the relationship has weathered? The holidays can be a cheerful time — with plenty of work, it seems. But with loads of family smashed into tiny spaces, many find themselves feeling less than jolly. Lashing out is common around the holidays. But Dr. Tammy Lenski, a conflict resolution trainer and author of The Conflict Pivot: Turning Conflict into Peace of Mind, has a few tips for keeping your gathering from turning into a war zone. When we focus primarily on problem solving, our effort will naturally tend to revolve around pinpointing, even driving hard toward, solutions. Along with our endgame focus may come the tendency to hurry past parts of the conflict that don’t seem, on the surface, to support our goal. It would have been easy for Louis Head to blame his raging words the other night fully on the grand jury. Or on the Ferguson, Missouri police department. Or on Office Darren Wilson. Or on racism and injustice. And if he had, there’d be a lot of people who would have given him a pass under the circumstances. When you’ve got conflict resolution skills, you can’t help but notice all the situations around you that might benefit from your help. But how do you choose when to help informally and when to stay out of it? I’ve finally found the way to describe my work with the help of an image. High conflict personality: Are you sure? chaotic neon "He's such a high conflict personality that I'm scared to disagree with him." "She's high conflict and I don't think any of these approaches will work with her." "How can we best deal with high conflict personalities in the workplace?" "I've been labeled 'high conflict' and I'm blamed for starting every argument." The answer to your conflicts does not lie in yet another conflict resolution skills workshop to add to all that you’ve taken before (skills training may be worthwhile but there comes a point when more is not better). Conflict doesn't necessarily mean something fundamental has shifted in your business or personal relationship. It's possible the relationship is as sound and strong as it ever was. It's just hard to see that when the conflict is crowding out your wider view. I was reminded of this recently in an experience with a certain company whose services I use to manage a small digital aspect of my conflict resolution business. Writing may be a very effective way to boost your performance in pressure-filled situations such as difficult conversations, suggests research out of The University of Chicago’s Human Performance Lab. A group of students at the Art Institute of Chicago approached two large tables holding 27 random objects. They’d been asked to select some objects and draw a still life. They were being observed by two social scientists, who reported on the communication impacts. The way you view conflict has a tremendous impact on the way you respond and react to the conflicts in your life. Learning better, shinier, or newer conflict resolution skills won’t make the kind of difference you think it will, unless you also reconsider what you believe about conflict in general. How we frame our offer, our doubt, our idea, our concern can make the difference between being heard and being ignored, between interest and aversion, between succeeding and stumbling. Good negotiators know this secret: Persuade with your ears, not your mouth. Instead of trying to persuade by telling and then telling some more, lead with your curiosity. Good negotiators listen for: The reasons behind their position. When friends, loved ones, and colleagues tell us about a conflict they’re experiencing, how we respond helps shape their conflict story. And what they do next. When you’re at the edge of the argument cliff, it isn’t courageous to step off. It’s foolishness. Courage is taking your destiny in your hands and backing up. Which one started it? I heard someone ask. I think her dog started it, replied the other, pointing to the chagrined-looking spaniel. A third person said, Well, you never know, the other dog might have sent a signal the spaniel didn’t like. On the discussion went as the bystanders tried to figure out which dog had started the 10-second ruckus. You’re familiar with hooks: Hooks for hanging coats, hooks for fishing, hooks for crocheting, hooks in computer programming, hooks in barbed wire. They share a kindred function: To intercept and snag, to catch and hold. But what is the role of a hook in mediation? Getting unhooked from interpersonal conflict is not unlike freeing yourself from a barbed wire fence. There you are, squeezing between two rows of barbed wire, on your way to reaching a beautiful flower you wish to photograph, and the wool sweater your grandmother knitted you inadvertently becomes snagged. There is no going forward until you free yourself. I remember the first time I succeeded in a mediation. I was a newbie mediator, just barely out of my studies and on my own. A university dean I knew from my own days as a college dean hired me to mediate a nagging workplace conflict involving eight women in the same office. “When we’re truly listening we have to anticipate that we might become changed by what we heard.” So notes acoustic ecologist Gordon Hempton, founder of The One Square Inch of Silence Foundation based in Joyce, Washington. “When we’re truly listening we have to anticipate that we might become changed by what we heard.” So notes acoustic ecologist Gordon Hempton, founder of The One Square Inch of Silence Foundation based in Joyce, Washington. Hempton, who defines real quiet not as an absence of sound but as an absence of noise, recently chatted with public radio’s On Being host Krista Tippett. I particularly appreciated this exchange during the program, The Last Quiet Places. The Argument Clinic is a Monty Python classic, funny because it magnifies the uncomfortably familiar habits some of us fall into. For more on how to argue effectively, check the list below the video. This one, It’s Not About the Nail, is a recent addition to my list, added after more than 15 readers and friends sent it to me over the past week! It’s so simple to advise, “Don’t take it personally.” And yet, too often, it’s utterly useless advice to someone in conflict. There’s something else they have to do first, before they can hope to stop taking it personally: They have to take it more personally. We are natural storytellers, so it’s no surprise that we would tell stories about our conflicts, too. Story-making and story-telling about our conflict is natural and not, on its own, a problem. Trying to control anger by focusing on angry thoughts and hurt feelings is like fanning the flames. It’s far more effective to pretend you’re a fly on the wall of a situation, new research confirms. How do you decide how much of a relationship conflict’s flotsam is worth pursuing? How do you focus on the important matters in a relationship conflict and not get sidetracked by trivial ones? I’m disillusioned with terms like “conflict management” and “conflict resolution,” though I continue to use them. I use them because I haven’t yet found an optimal replacement. Years ago, I bought a pair of sports sunglasses with swappable lenses for differing conditions. I didn’t take the time to experiment with the different lenses and settled into wearing the dark gray lenses all the time. They did the job well enough. I’ve been working my way through research notes for my upcoming book and today came across these excerpts on the mediator’s job from Winslade and Monk’s 2000 classic, Narrative Mediation. If you’re a mediator and you haven’t read it, you ought to. They have several worthy sequels, too. Marriages can successfully weather significant communication style differences. It helps to set the foundation for success early, but if that boat’s already sailed, fear not — you can still change its direction. It’s a mistake to conflate good supervision and the habit of intervening in employees’ conflicts. Not only with the habit wear you out eventually and take energy away from other important responsibilities, but you will miss prime opportunities to help your staff cultivate their own good skills. Going into a difficult conversation with a little forethought is wise indeed. Being curious and figuring out in advance what you want to understand better is also wise. But don’t become so wedded to your list of questions that they get in your way. I’m addressing a group of municipal leaders and employees about turning conflict into collaboration. Here are a few of the ideas I’m going to share with them. Winning the contest of wills is a waste of energy in ongoing personal and professional relationships. It does nothing to strengthen the relationship or give it a strong foundation for weathering the next disagreement. It sidetracks us from what’s really important. It leaves debris in our wake. Discomfort may seem painful, but when you consider it, you realize it’s not real pain. It’s more like ‘I don’t know if I like this.’ Or, ‘I don’t want to do this anymore.’ Or, ‘I think maybe I’ll stop.’ Try to stay with discomfort. Breathe through it, release it, try to go beyond it. When Felix Baumgartner was preparing to jump from a balloon at the edge of space last weekend, he almost got sidelined by one fear he hadn’t yet overcome: Claustrophobia. How he handled that fear is instructive for managing fear of conflict and confrontation, too. Here’s how to stay calm in conflict, à la Felix Baumgartner. Knowing someone’s interests can unlock negotiations in ways you never thought possible. I’d answer the knock on the door. Standing there would be a giant New York State Police officer. Next to him, looking chastened, would be my 4' 10? Scottish grandmother, who lived with us. She was in her mid-80s at the time. What are the best things you can do every day to become a better negotiator? I’m asked this question so often, and teach this so frequently in workshops, that I’ve now made a poster for you. Maybe you want to negotiate better for yourself at work. Maybe you want to negotiate better with your loved ones. Maybe you help others negotiate better and would like a handout to share with them. Editor, NE-ACR Past President, and all-around fab mediator Louisa Williams has put together another gotta-read edition of the newsletter. It includes a review of Thinking, Fast and Slow by Danial Kahneman, whose early work lit me on fire while I was working on my doctoral dissertation in the early 90s. I enjoyed Kahneman’s new book tremendously and am still working to digest all that was in it. Last summer, when I was in Colorado to speak at the Association for Conflict Resolution’s Rocky Mountain Retreat, I met a woman whose energy, warmth and charisma swept through any room she was in. You’ve heard the standard script for brainstorming countless times: Share all the ideas that enter your head, unfiltered by your doubts or analysis. Zany ideas welcome. Don’t criticize others’ ideas. Last fall, my 13 graduate negotiation students, few of whom described themselves as good negotiators when class started, mostly shuddered at the prospect of one assignment in particular: Each week, they had to negotiate something. A matter at home. A better price on a purchase at the mall. Cindy June of Milton, New York, had a problem on her hands: Her pet rooster, Farnsworth, was waking the neighbors. Tammy Lenski describes the art of not knowing in the mediation process, instead of thinking you have it all figured out. I want to stay calm and flexible in my negotiation with him, said Ann. My goal is to keep my center and allow my reasonable self to lead the way, instead of my inner lizard. Women, when you’re negotiating salary, business contracts, departmental budgets, auto purchases and the like, figure out a way to imagine yourself as negotiating on behalf of others and not just for yourself. The woman was screaming and yelling at the top of her lungs. Cursing a blue streak. Waving her arms wildly. And it was me she was addressing as we stood together on the sidewalk of a small town during evening drivetime. Tammy Lenski discusses marital communication. The key to dealing with anger at work is a supportive, compassionate response instead of sanctions, references to codes of conduct, or ignoring it, according to recently published research by two Temple University and University of Baltimore professors. The great breadcrumb battle finally brought to its knees--Tammy Lenski examines an ongoing argument and the conflict behind it. Twenty-three years ago this month, I met my husband. Sometime in those first months of dating, he casually dropped a conversational bomb one day: Tammy, he said, you don’t treat me with respect when we disagree. Most disputes don’t really matter in your life. Work on the ones that do matter — the ones involving loved ones, important colleagues, valued others — and walk away from or quickly resolve the rest. Tammy Lenski describes how to move with the flow of Confict. A communication style learned from Missy. Six years ago, I began writing the Making Mediation Your Day Job blog. Five years ago I began blogging chapters and sections of my soon-to-be book of the same name. Two years after that, my mediation marketing book, Making Mediation Your Day Job, was released and went on, happily, to win several awards. One of the best parts of blogging and maintaining an online presence is the opportunity to meet, connect and engage with smart, interesting, good people whose paths might never have crossed mine otherwise. That’s exactly how I met Canadian mediator Jason Dykstra, who lives, blogs and mediates in Cambridge, Ontario. Your biggest mediation competition isn’t who you think it is. It’s not the mediator down the street who’s been in business for a decade and whose name is synonymous with mediation in your region. It isn’t the legal firm one building over. It isn’t the newly minted mediator across town who’s known well from a prior career. And it isn’t the ADR star from out of town, called in on his white horse for high profile cases that make the news. Char Polanosky is not the boastful sort. She quietly goes about her business, a successful web design, blogging and new media consulting practice. So unless you’ve followed Char for a while, you’d never know that some of the most well-known business bloggers and new media personalities consider Char a top resource and go-to gal. A few months ago, Texas conflict coach Pattie Porter, whom I knew only via Twitter at the time, approached me about being on her BlogTalkRadio show, The Texas Conflict Coach. Ever since, I’ve been listening to Pattie’s show and have been impressed by both her practice-building strategy and the professionalism with which she carries it out. Mediate.com is doing a series of articles on our Featured Bloggers. This is the featured blogger interview of Tammy Lenski. A conflict’s greatest opportunity for collaborative resolution is usually near the time it first occurred (if such a time can be known) or at least nearer the time it first entered your awareness. When the mediator sees the equal human, you see someone whose gotten hijacked and would be so appreciative of a mediator who helps them find their way back to more graceful behavior. When the mediator sees the equal human, you see someone you can assist instead of feel disdain for. When the mediator sees the equal human, you realize that the mediator’s behavior is what needs to change, in order to help the party back to a place of better balance. Diane Levin, who facilitated the latest episode of our new collaborative podcast, Cafe Mediate, launched conversation with that very question. Diane, Amanda Bucklow, Jeff Thompson, Vickie Pynchon and I dove in to answer and we weren’t shy with our opinions. 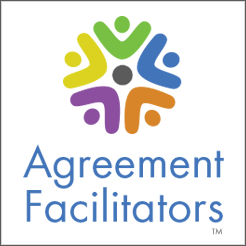 A few years ago, I and my Woodbury College faculty colleagues Susanne Terry and Alice Estey published an article on mediator training and preparation in ACResolution. Last week’s Cafe Mediate podcast got me thinking about that article again – it’s content is still valid and the topic still timely. So, with my colleagues’ agreement, I’m posting an updated version of the article here. What makes a great mediator? That’s the question we asked and the answer we discussed and debated in the most recent episode of the Cafe Mediate podcast. Many of my mediation students have said that to me and I don’t think there’s a mediation trainer or professor alive who hasn’t heard something similar – for good reason. There’s nothing like a good cuppa joe, friends and meaningful chat to re-charge and re-energize. Even when those friends are on other continents. In this instance, the friends are London-based mediator Amanda of The Mediation Times and fellow New Englander, Diane Levin of The Mediation Channel. We brought our own coffee and the chat was via Skype. And it’s the start of something new: CafeMediate. I receive certain questions regularly via email, so thought I’d post answers here to save some of you the time inquiring. If you have questions I haven’t addressed here, please do leave a comment at the foot of this post and I’ll do what I can to answer them there! Prospective clients are checking up on you. They’re Googling your name and your business name. They’re scanning only the first one or two pages of results. If you’ve got a website, they’re visiting it and looking around. If you don’t, they’re relying on what others are writing or saying about you. When a prospective client invites me to speak to their group about my work and how I may be of assistance, one of the first logistical questions I’m asked is whether or not I want an LCD projector. ODR Cyberweek begins Monday and I’m thrilled to be part of a live event near the end of the week: Going from OH? to KNOW!. The brainchild of Jeff Thompson, one of my favorite bloggers and a guy with a pretty compelling bio, the event brings together five major ADR bloggers to discuss our tips and strategies, the tools we use, how blogging has helped us, and to take your questions. Do you wonder what it takes to create and implement the ideal marketing strategy for your ADR business, whether you’re a mediator, conflict coach, trainer, arbitrator or other professional? Do you wonder how to reach your ideal market and really engage their interest in what you’re offering? One theory behind interest-based bargaining is that parties to a conflict are more likely to agree to a solution that meets one or more of their most important interests. If you’re one of the millions who’ve read William Ury’s work, you know this well, and you know his defintion of interests: The intangible motivations that lead people to take positions – needs, desires, concerns, fears, and aspirations. “There is a great deal of opportunity to create a niche in your community once you have the training and if you are willing to put in the time to market your practice and develop the network of referrals you will need in order to grow,” say Arline Kardasis and Rikk Larsen of Elder Decisions, which scored a major marketing success with National Public Radio in April. I had a chance to view this video last week and recommend it for a whole host of reasons. It covers important topics like target markets, market niches and market differentiation in a straightforward, thoughtful way. It challenges you to put the work into understanding what you have to offer. And Lowry sets the stage well for successful practice-building with his practice development pyramid. Agile creativity is the sweet spot at the intersection of planning and improvising. I propose that’s the intersection from which skilled mediators work much of the time. My ADR business went mostly paperless in 1999 and fully paperless in 2006 when technology improvements made it more feasible to go whole hog. The folks at Elder Decisions have scored another major P.R. success with today’s National Public Radio feature, Mediators Help Families with Tough Choices of Aging. Eighteen months ago, I was putting the finishing touches on my book, Making Mediation Your Day Job, and posting here some of the ideas in it for feedback. One of those ideas was the value of tapping your strengths when marketing. It matters less to me that you precisely agree with the definitions I’ve crafted than you having clarity in your own mind about how the cluster of marketing and sales activities differ from one another. The danger of muddy thinking about marketing activities is the missed opportunity to build and promote your mediation practice or ADR career in a thoughtful, cohesive way. LinkedIn is one of the premier online networking sites for business professionals worldwide. Chances are you’re already on LinkedIn and have begun to build your connections there. Before any client hires you, they’re asking themselves two critical questions: Is mediation (substitute other conflict resolution services you offer if needed) relevant to my problem? Why should I hire this mediator instead of someone else? Judging by the number of Twitter, Facebook, LinkedIn, MySpace and other social networking questions I’m receiving from Mediator Tech readers, it sounds like online networking is on your mind. Here are the answers to the questions I’m asked most frequently, followed by additional resources to help you learn more. A mediator recently asked me for examples of top-notch conflict resolution blogs written for prospective clients. Absolutely terrific question and deserving of a thoughtful answer. In what began as a mild dare, Gavin Heaton and Drew McLellan challenged bloggers around the world to contribute one page — 400 words — on the topic of “conversation.” The resulting book, The Age of Conversation 2, brings together over 100 of the world’s leading marketers, writers, thinkers and creative innovators in a ground-breaking collection of essays about the value of dialogue in the world of marketing and idea-building. Contributors hail from 29 U.S. states and 14 other nations. Last summer I wrote Twitter 101 for Mediators, offering ideas for getting started with the micro-blogging platform and reasons Twitter could be an effective marketing tool for mediators. If you’ve been considering Twitter, or have just started using it, check out this week’s Wall Street Journal article, Twitter Goes Mainstream. Charles Green, author of the excellent (I just finished it) Trust-Based Selling: Using Customer Focus and Collaboration to Build Long-Term Relationships, recently blogged some ideas for trustworthy and future-thinking ways small businesses can act during difficult economic times. Diffusion of innovation theory tells us that when people use an innovation and the good results are visible by others, the innovation will spread more rapidly. It’s the observability factor. Every morning like clockwork, my email inbox has a new small business idea waiting for me. You can have these quick reads and good resources, too. Just subscribe to Barbara Weltman's Small Business Idea of the Day. Weltman's credentials aren't lightweight and neither is her advice. Copyright © 2008 by Tammy Lenski. All rights reserved. This article is intended as an invitation to reconsider your participation in a labeling trend that is serving neither mediators nor the dispute resolution field well. If you're an ADR professional who's just starting out, you probably want to know how to build, promote and manage your practice as effectively as possible. If you're a seasoned practitioner with a growing client base, you probably want to make sure you're using your time as efficiently as possible. This article discusses ways that technology can help new and seasoned practitioners leverage time for business-building tasks, without significant cost.